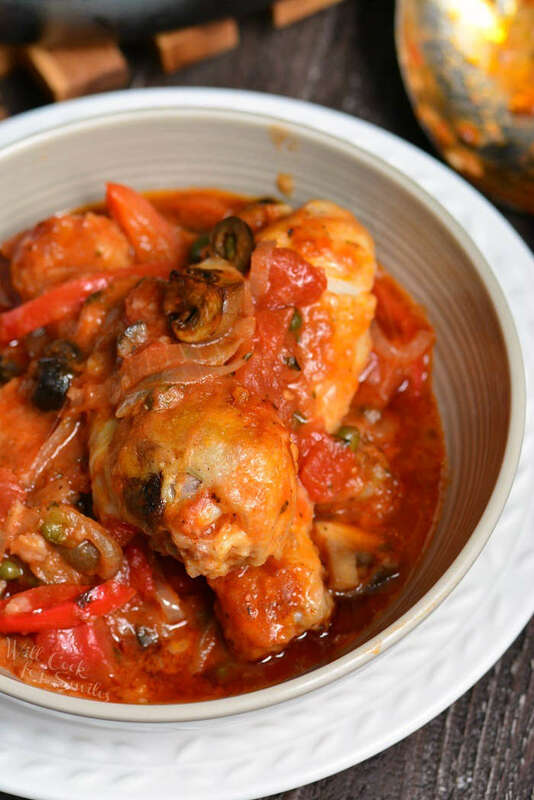 Chicken Cacciatore is a classic Italian dish that’s made with chicken, bell peppers, onion, garlic, and tomatoes. 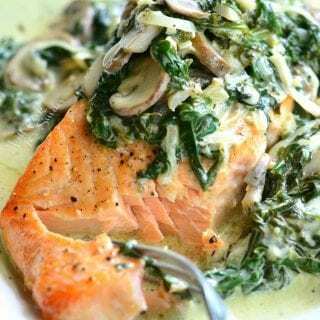 To give the dish a lot more of amazing flavor, I’ve added white wine, capers, olives, and mushrooms. 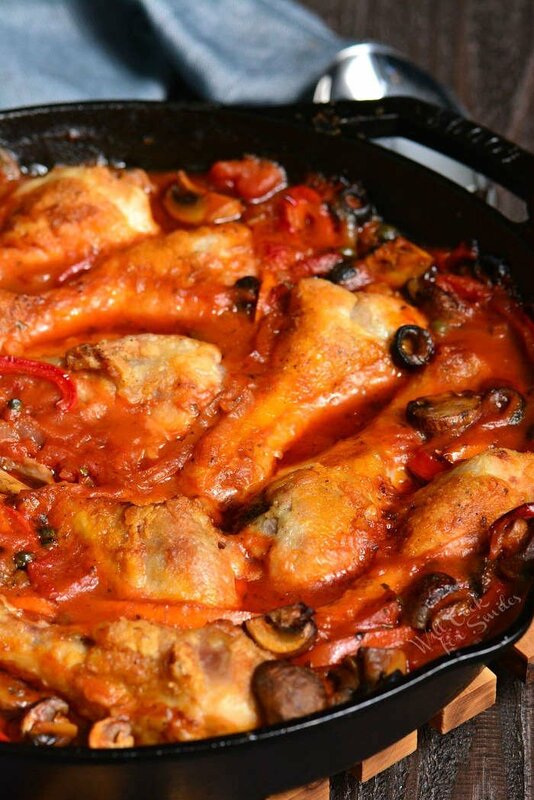 This Chicken Cacciatore recipe is cooked on stove-top and then in the oven. Even though this recipe features chicken drumsticks, any cut of chicken can be used as well. If you want to make some more baked chicken recipes, try this easy baked chicken breasts. This tasty Garlic Baked Chicken uses the whole chicken and these Baked Chicken Wings are also amazing. 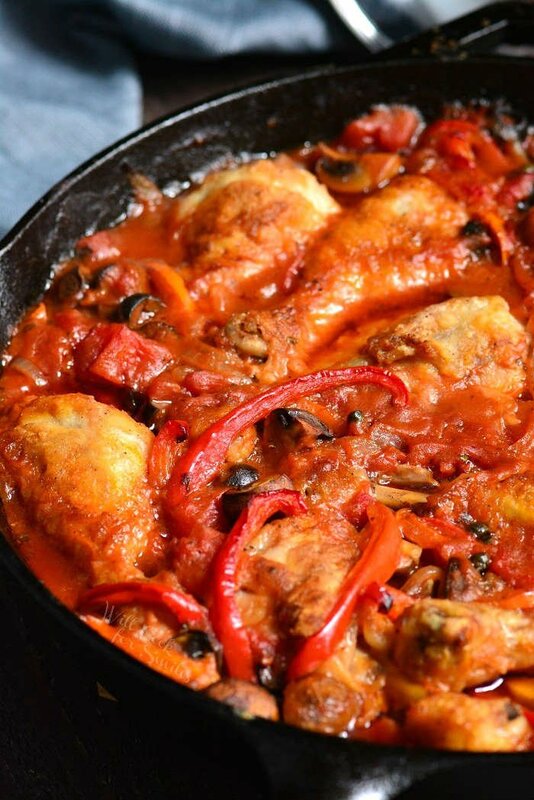 Chicken Cacciatore is a delicious chicken dish that’s traditionally made with onions, garlic, and bell peppers. Most of the time, the dish also includes tomatoes and mushrooms. 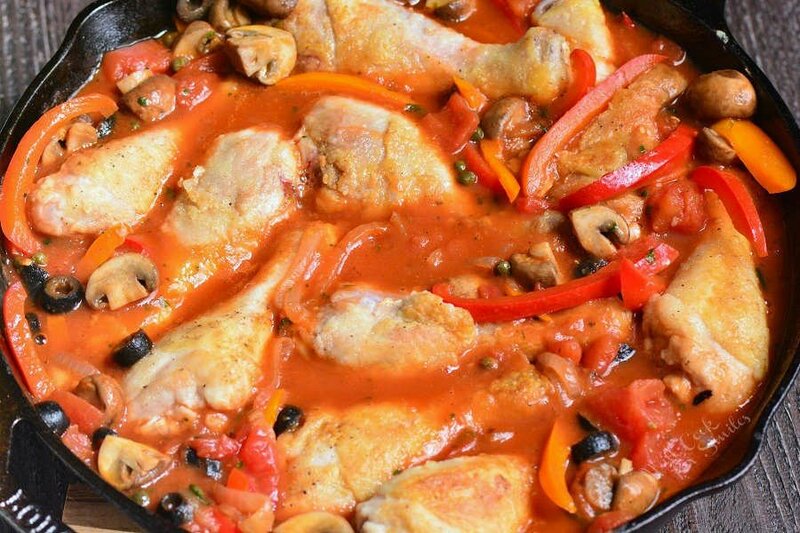 Chicken Cacciatore originated in Italy. It’s made a little different in each region of the country. For example, some regions use white wine and other regions use red wine. 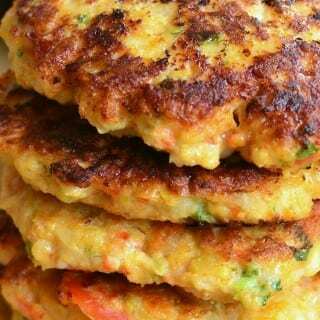 In some regions, the dish includes tomatoes and others simply use bell peppers, onions, and garlic. 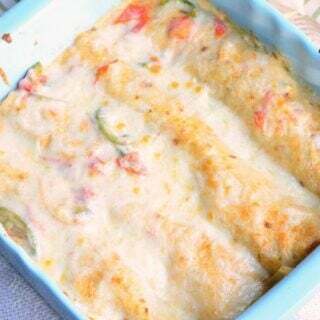 When the dish migrated to United States, some people started using marinara sauce to make this dish as well. I like to pack in a lot of flavor into all my dishes and this chicken dish in no exception. Using a lot of vegetables not only gives this dish extra layers of flavor, it also makes it a one pan dish where no additional sides are necessary. I also always use white wine for my Chicken Cacciatore recipe. There are a couple of reasons for that and you can make a choice if you wish to use red wine or not. Red wine has a very strong flavor and when it’s used in cooking, it tends to take over all the flavors. When I use red wine in a dish, it’s only for cooking meat and not the vegetables, that way not everything tastes like wine. 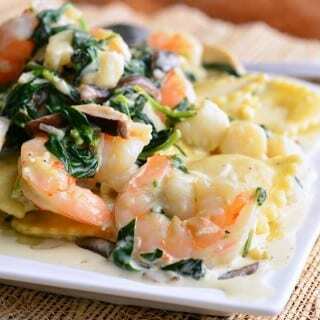 White wine is mild and it enhances the flavor of vegetables, meat, and sauces instead of taking over all the flavors. Before starting to cook, make sure to prepare the ingredients first. Slice all the vegetables, open cans, and peel garlic. Prepping ingredients is the best step when working on a fast pace dish. Combine flour, salt, and pepper in a large zip-lock bag and mix it together. Place chicken drumsticks into the bag with flour, close the bag, and shake it up to coat all the drumsticks evenly with flour mixture. Preheat a large, oven-safe baking pan over medium heat. Add olive oil and chicken drumsticks. Sear drumsticks for just a few minutes on each side, until golden brown and take chicken out of the pan. 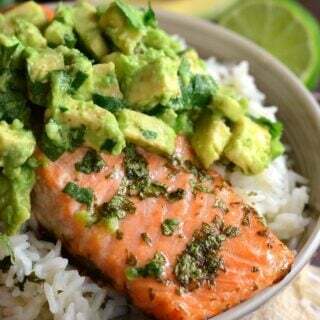 Set them aside on a separate dish. Add onions and peppers to the pan and cook until softened. Smash and mince garlic and add it to the pan with veggies. Add mushrooms and cook until garlic is fragrant. Pour in wine and let it simmer for a few minutes. Add tomatoes, capers, sliced olives, tomato paste, and chicken broth and carefully stir everything together. Season with salt, pepper, oregano, and basil and mix until everything is evenly incorporated. Nestle chicken back into the pan among all the vegetables and sauce and transfer the pan into the oven. Bake for about 35 minutes, until chicken is fully done. 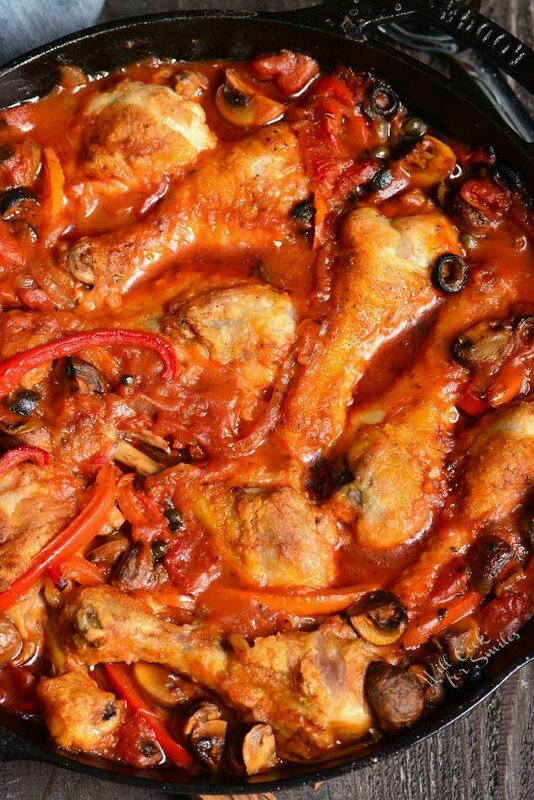 I prefer to use chicken drumsticks in cacciatore because the meat is so tender and flavorful. 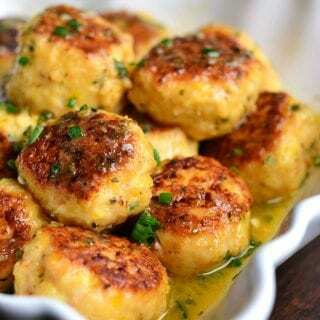 Chicken thighs can also be used for the same type of chicken meat. You can break down and use a whole chicken as well. Learn how to break down the chicken in this post. If you do not wish to use dark chicken meat, chicken breasts can be used instead. Remember to adjust baking times according to the type of chicken cut you use. Chicken breasts will take the least amount of time so check for doneness after about 20 minutes in the oven. Use a meat thermometer to check the chicken. Chicken should be cooked to 165°. This recipe can very easily be made gluten free. 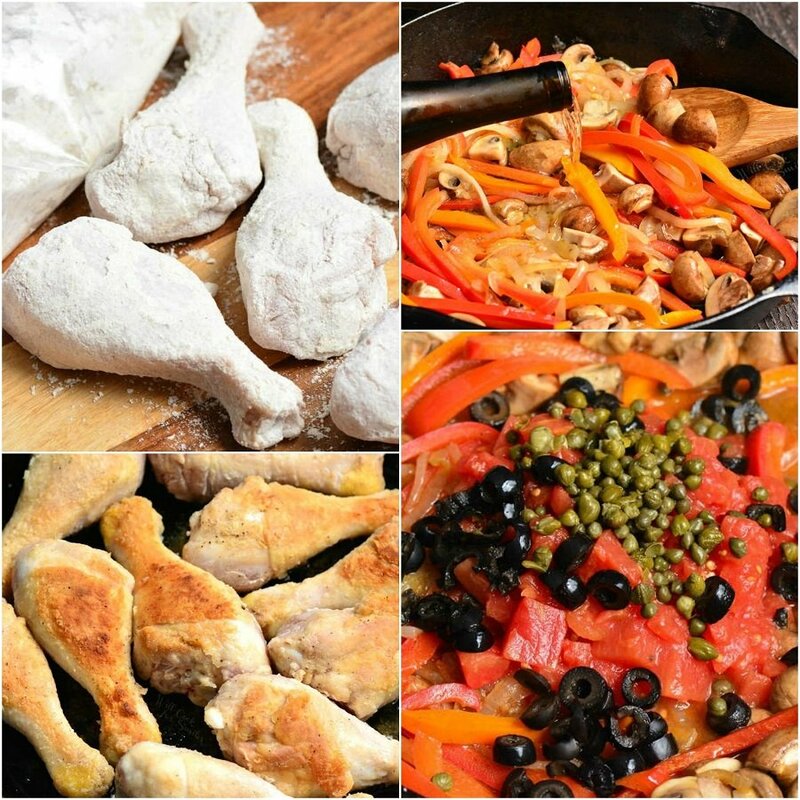 The only gluten in Chicken Cacciatore is the flour that chicken is coated with. You can simply substitute Gluten Free all purpose flour instead of regular flour when coating the chicken. Or, you can eliminate flour all together. Texture of chicken on the outside and thickness of the sauce won’t be the same but you can eliminate flour if absolutely needed. 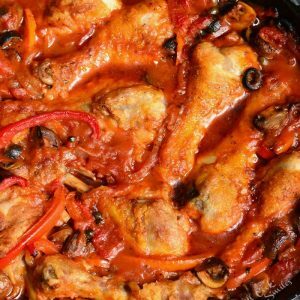 CAN I MAKE CHICKEN CACCIATORE WITHOUT WINE? Yes, you can eliminate wine all together. The flavor will be effected but not enough to make a huge difference. If choosing to eliminate wine, add extra 1/2 cup of chicken broth instead. Classic Italian dish that’s made with chicken, bell peppers, onion, garlic, and tomatoes. To give the dish a lot more of amazing flavor, I’ve added white wine, capers, olives, and mushrooms. Start by prepping the ingredients: slice all the vegetables, open cans, and peel garlic. Set aside. This post has been UPDATED, it was originally published on Will Cook For Smiles on February 16, 2011. Your looks so much better than mine, but it was still delicious! Thanks for the recipe, this is something I’ll definitely be making on a regular basis.